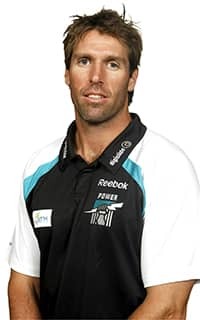 PORT Adelaide list manager Jason Cripps has been successfully brought out of an induced coma but remains in a stable condition in Royal Perth Hospital. The 38-year-old was running on Saturday morning when he suffered a heart attack and collapsed. He was assisted at the scene by fellow Power staff and a doctor before being rushed to the hospital in an ambulance. After spending 48 hours in a serious but stable condition, Cripps is now responsive to family and friends. He was in Perth with the Power's recruiting staff to watch Western Australia take on Vic Metro in the NAB AFL Under-18 Championships. Cripps has served as the Power's list manager since 2011, helping identify and draft the players including Chad Wingard, Ollie Wines and Jarman Impey.